These days many of us are looking for ways to cut costs and save a few dollars. Maybe you have stopped eating out as much or perhaps you have put off expensive purchases. You might have even thought about cutting out your expensive cable or satellite bill. However, it can be hard to go from hundreds of channels to a couple of local channels, and many people are reluctant to get rid of cable. You might not know it, but there are ways that you can cut off your cable and still watch many of your favorite shows. When you are weighing the following alternatives to cable, you want to think about how much you really watch television. For example, if you watch television two hours a day (fourteen hours a week), and your cable bill is $100 per month, then you are paying about $1.75 per hour of television. Also, consider someone who watches about four hours a week (sixteen hours a month). They’re paying $6.25 per hour of television. This person pays much more because he watches television less often. So, it might make sense for him to ditch his cable bill. By doing this little exercise, you will have a better idea of how expensive your television habits really are. You have probably heard of Netflix even if you do not have it. For $7.99 a month, you can watch all of the shows (and movies) that they have available instantly on your computer. You can also stream these shows and movies through your Playstation, Xbox, or Wii and watch them on your television. While you will not be able to watch shows that are currently running on television, they are usually pretty good about adding the season after it has finished airing. Netflix offers a variety of movies and television shows, and they even have a Netflix that is just for kids. This way your kids can watch their own shows and movies by themselves. Consider, for a minute, the scenario above where you were watching fourteen hours of television a week. If you have Netflix, you will be paying about 14 cents per hour of television. Hulu Plus is a very similar type of service, and they offer television shows and movies in much the same way that Netflix does. You can watch on your computer, or you can watch on your television by using a compatible game system. One nice thing about Hulu Plus is that you can often watch shows the day (or a few days) after they air. This makes it easier to keep up with current seasons. However, many of the shows will be removed after a certain period of time. So, if you do not catch your show quickly, you might not be able to access it. Having both Hulu Plus and Netflix at the same time would mean a wide variety of older and current television shows and movies, and it would only cost about $16 a month—considerably less than many cable plans. If you would like to watch these things on your television, but you do not own (or want to own) a gaming platform, you can buy a set top box. These boxes either come with or can be loaded with web applications like Netflix, Hulu Plus, Pandora (internet radio), etc. While prices for these boxes vary, you can find a good one for $30 to $50. Some other options for reducing your cable bill include limiting cable to one television in the house or going with a smaller channel package. Some other options might include buying some board games, becoming a member of your local library, or renting movies once a week. No matter what you do, you should know that there are many less expensive ways to watch television. Have you recently ditched your cable company? If so, what alternatives do you use? Apple TV is another option for a set top box, and if there is any company that the cable companies fear, it has to be Apple. Whenever the true TV is released by Apple, it will sell exceptionally well. I am moving toward getting rid of cable, and use both of the options you suggest as well as Amazon. I keep my cable cost lower by not having HD, but with set top box (TiVo actually) I am able to take advantage of HD offerings from the services you mention. Great suggestion! 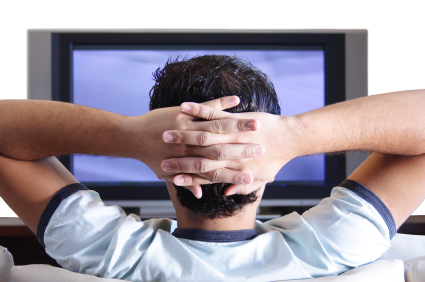 What television shows do you normally watch? Do you think you will miss other television shows. I so wish we could watch Hulu in Canada. Thankfully, many programs we like to watch are available right on the channel website and we also have Netflix. Still though- Hulu seems awesome and I wish we could use it here!! I have hulu and I barely watch it lol. I recently cancelled netflix as well. What shows do you normally watch? Nice! Pretty sweet perk to have cable included. Why did you give up cable 2 years ago? Roku, Netflix and a rabbit ear! I don’t miss cable at all! Nice! I thought rabbit ears don’t work any longer. I don’t see any point in even owning a TV anymore. Most shows are available now simply by going to the website of the network that shows them and streaming them. They may not have backlogs of every show, but they usually all have the current season available for viewing at any time with a decent internet connection. You may have a point here, unfortunately all shows aren’t available in an online format. TV is also good for finding out about new shows and of course sports! I’m with you Earth & Money on it seems to me there is no point in our having cable (or a TV). We watch 3 shows at the most (when they are not rescheduled). We are moving toward cutting the cable TV altogether and the target date is just a week or two away! I’ve heard good things about Roku for the box option. The only reason I could see for having cable is for sports programming…but I recently heard that some stuff is now available on the iPhone/iPad and live? I don’t know. Just what I heard. Somethings are available on your phone with certain providers and packages. But, sports are the main reason to have a T.V. I got rid of my satellite service back in 2008. It was costing me $80 a month and I was barely using it. I’ve done a combination of the things that you mentioned. I think that this is the best approach to getting rid of cable / satellite. There’s no one thing that will replace all the content. But, if you combine a bunch of different things together you can recreate the experience. My system combines an HD antenna (for local shows, sports, and news) with a Roku XD for streaming Amazon/Netflix with a small form factor PC for surfing the web and watching YouTube with a 2 TB NAS (network attached storage) for watching downloaded content. All of it is connected to my big screen HD TV and stereo. I don’t miss paying for satellite and so far I’ve saved about $5,000 during the last 5 years. I like your setup! I might have to duplicate it. I’m curious what was the biggest challenge with your new setup? Sigh. Alas, we Canucks don’t get much on Netflix (or so I hear) and can’t access Hulu. I looked at cutting our cable down, but the cheapest package isn’t much less than we have now. I do like what our current set up offers, and it keeps my nieces happy when they visit :), so I’ll keep it for now. That is one huge benefit of having cable. When you have guests it’s much easier to entertain people. You are right, as Canadians we don’t have access to low cost alternatives as they do in the US. We’ve discussed cancelling our phone and cable many times, but the it is so inexpensive anyways, we wouldn’t save much by doing it. We do save a lot of money by not using cell phones. If I could break my reliance on my cellphone I would.. I spent 200 a month on the cell phone plan for my wife and I. Hmm.. I need to some how get my company to pay for this.